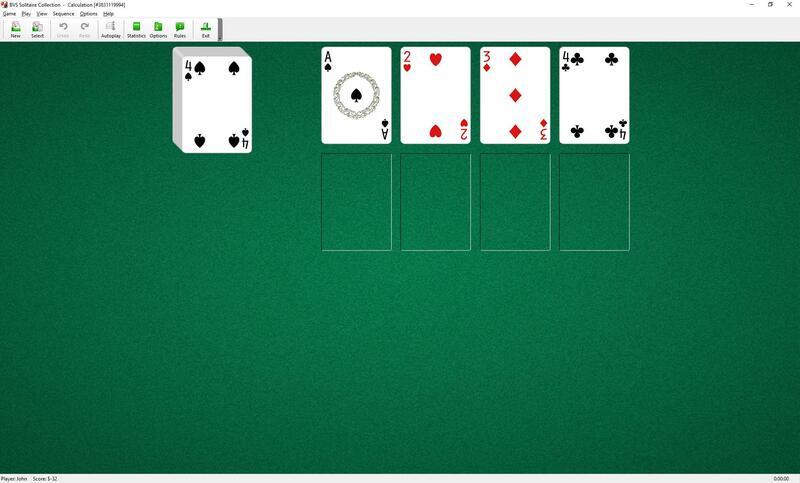 Calculation Solitaire uses one deck (52 cards). You have 4 tableau piles and 4 foundations. Any Ace, Two, Three and Four are dealt to the foundation piles at the start of the game. That is, the first foundation pile goes up by ones, the second pile by twos,..., the fourth pile by fours. You can move cards from the stock pile to the foundations and tableau piles. There are no restrictions on placing cards from the stock pile to the tableau piles. Only the top card of each pile is available for play on the Foundations. You cannot move cards from pile to pile. The skill in this game is to decide which tableau pile to put each card in. 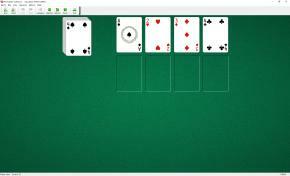 Calculation Solitaire is one of the games included into the BVS Solitaire Collection.